Divine Homes is situated in the most beautiful and expansive parks nestled in the heart of Cochin City, the Marine Drive, with door steps leading to a culminating point at the Lake & the Sea. 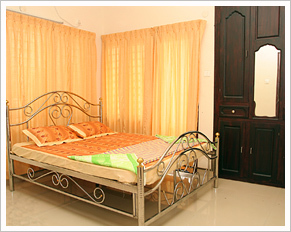 Divine Homes welcomes you to the fully serviced & furnished luxury apartments for corporate and personal housing in the heart of Cochin, with the specialty of the soothing view of the Sunset & the Sea from each and every room, right from your very bed. 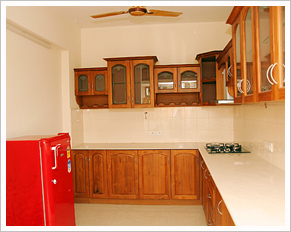 If you are looking for accommodation in Cochin for an extended stay, during business schedule, while relocating, or as a new home, the aim is to ensure that you’re every need is provided for. 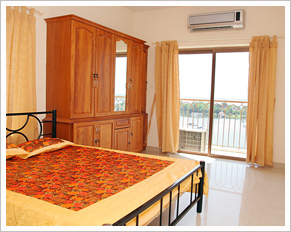 Serviced apartments are a lifestyle choice. 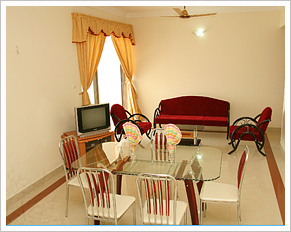 Experience urban, contemporary lifestyle at its best at Divine Homes Residential Suites - Serviced Apartments. Tastefully furnished three bedroom luxury apartments offering good space, comfort, anonymity, high levels of security, privacy and most importantly, the control of your own home with luxury and style - plus the hotel-type services you would expect from three star accommodations besides independence - in one of the world’s most vibrant cities. The drapery, furnishings and quilts, the crystal and lighting fixtures have all been meticulously handpicked from around the world to pamper you. Each and every bed room & dining hall having a private sit-out with the panoramic view of the Sea, Sea-Port, Lake & Bolgatty Palace. 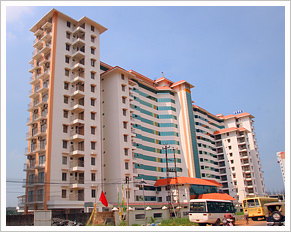 Divine Homes Residential Suites - Serviced Apartments is located on a tree-lined street of Marine Drive in the heart of a vibrant locale within the city called Cochin. A few steps away from the busy main street with its choicest selection of restaurants and delightful Shops, Boating Yards, Parks, etc. 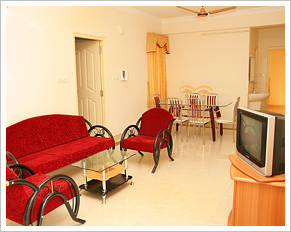 www.kerala.com www.ernakulam.com www.keralatravels.com Powered By Worldviewer Dot Com (India) Pvt. Ltd.